neighborhood to the left of the cable car tracks. Image from The Cable Car Guy (Joe Thompson). 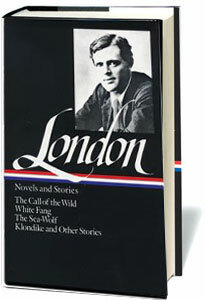 After the publication of the international bestseller White Fang (1906), Jack London built a schooner, which he christened the Snark, and embarked on a voyage around the world. This ambitious undertaking hardly slowed down his literary output; in one letter to his publisher sent from Guadalcanal on October 25, 1908, he detailed “what I have on hand,” summarizing his progress on seven books: the story anthologies Lost Face (“containing my latest Klondike short-stories”), When God Laughs (recent “miscellaneous stories”), South Sea Tales, and a good chunk of The House of Pride (“Hawaiian short stories”); the collection Revolution and Other Essays; his travel book Cruise of the Snark; and the beginnings of his short novel Adventure. He even calculated how much he had completed for each project—a total of 323,000 words. That remarkable list does not even mention the acclaimed, 120,000-word novel Martin Eden, which he had finished a few months earlier and which had just begun appearing as a serial in Pacific Monthly. The grueling combination of seafaring and writing took its toll. In early 1909, after traveling to Hawaii, the Marquesas, Tahiti, and the Solomon Islands, London was forced to cut short his trip because of a series of debilitating ailments, including malaria and two fistulas (which necessitated surgery). He spent several months recuperating in Australia before returning to his ranch in Sonoma Valley, California. One of the works London wrote while recuperating in Australia is “South of the Slot,” a story widely considered to be among his best. Similar in concept to Stephen Crane’s “An Experiment in Misery” (which, in its original version, features a wealthy man pretending to be a tramp), London’s story describes a college professor, sociologist Freddie Drummond, who disguises himself as “Big” Bill Totts in order to work among and study the laborers south of Market Street (“the Slot”) in San Francisco. Many biographers see London himself reflected in the figure of Drummond/Totts. Like his professor-hero, who “made a practice of living in both worlds,” London traversed the divide between enjoyment of life as a wealthy author and his sympathetic observations of laborers and the unemployed. The difference is that London had grown up among the poorest strata of society, living for several years as a train-hopping hobo, and had worked his way up the social ladder, while his fictional counterpart had been raised comfortably guided by the “tempered seed of his ancestors” and had insinuated himself among the denizens of the “labor-ghetto.” “London struggled to reconcile his radical, working-class identity with that of his middle-class, literary self,” suggests literary scholar Joan D. Hedrick. “His satirical portrait of Freddie Drummond distances him from a self he might have become. Notes: On the first page of the story, London refers to two famous contemporary works. “A Message to Garcia” (1899) is Elbert Hubbard’s inspirational essay, eventually published as a booklet that sold over forty million copies during the first two decades of the twentieth century. Often distributed by businesses to their employees to promote loyalty and resourcefulness, it coined the catchphrase "take a message to Garcia" as shorthand for take the initiative and just do it yourself. Mrs. Wiggs of the Cabbage Patch (1901), by Louisville writer Alice Caldwell Hegan Rice, is a novel about a poor but thrifty widow. 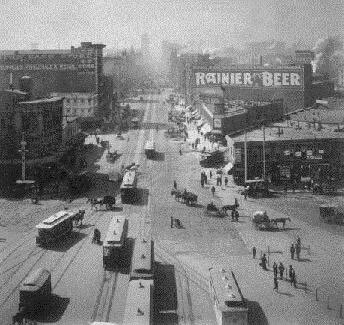 Old San Francisco, which is the San Francisco of only the other day, the day before the Earthquake, was divided midway by the Slot. . . . If you don't see the full selection below, click here (PDF) or click here (Google Docs) to read it—free!